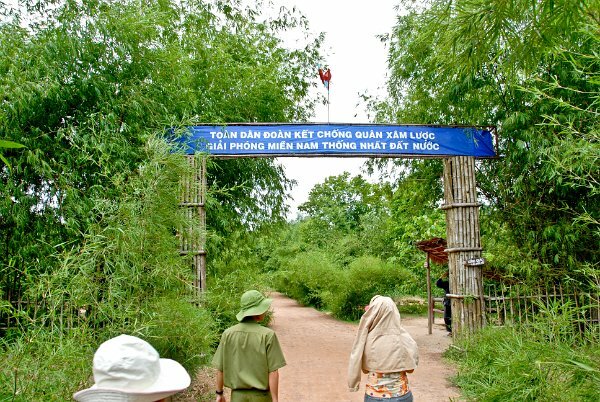 It is famous for its Củ Chi tunnels, which were constructed during the Vietnam War, and served as headquarters for the Viet Cong. Today, the district has many industrial zones. As of 2006 the district had a population of 269,702. The district covers an area of 435 km². The district capital lies at Cu Chi. Củ Chi is a suburban district of Ho Chi Minh City, Vietnam. It is famous for its Củ Chi tunnels, which were constructed during the Vietnam War, and served as headquarters for the Viet Cong. Today, the district has many industrial zones. As of 2006 the district had a population of 269,702. The district covers an area of 435 km². The district capital lies at Cu Chi.